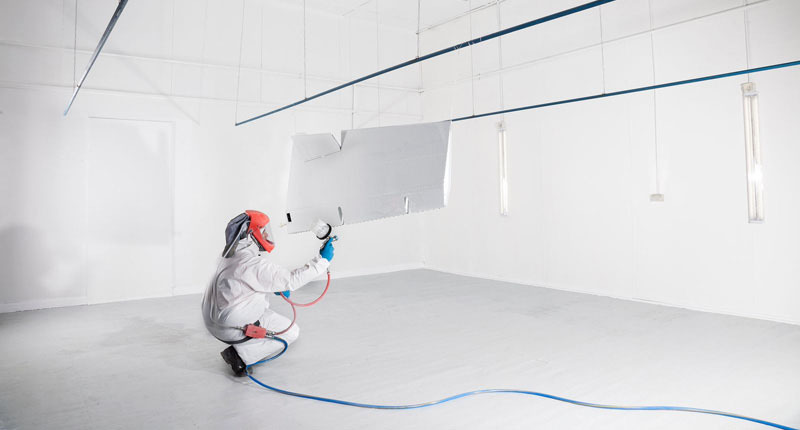 Our facility at Essendon offers a complete paint solution for your aircraft repaint and touch ups. Using quality paints and products, no job is too big or small. Our paint shop manager Ian Irvine is known all over the world for his work and is considered “the best in the world” by the Erickson Sky Crane Company, with a repaint of two of the Sky Cranes (Elvis & ICHABOD) after the Victorian Fire season. Paint is not just skin deep, it is your planes first layer of defence against the elements. It provides protection for the aluminium or composite structure from corrosion, bugs, rain and the sun. The condition of your paint is not only a direct reflection of how well protected the exterior of your plane is, it also provides an element of confidence to future buyers about the overall maintenance of the aircraft inside and out. A fresh paint application not only adds an aesthetic appeal to your aircraft exterior, it also increases the value of the aircraft. In most cases the value added to your aircraft is actually more than the cost of repainting the aircraft, making painting your aircraft the single best investment upgrade. GAM offers complete interior refurbishments whether you want to replace the entire cabin or just the carpet, we are ready with top-quality products and experienced craftsmen to deliver your vision to you.